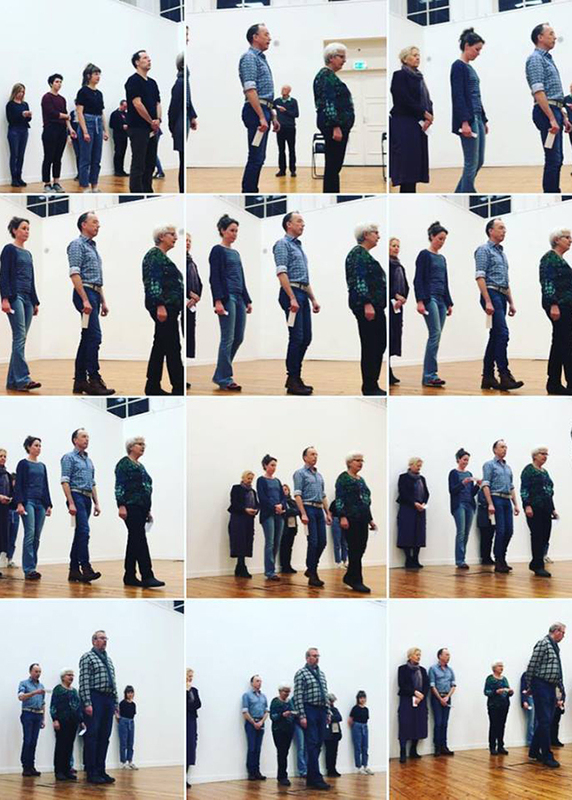 Crossing is a group performance by the artist Toine Horvers, inspired by the sound-movement of an airplane passing by. The event takes place on Saturday the 9th and Sunday 10th of March 2019, both days at 12.00 and 14.00 hrs in PARK. In 1984 Crossingwas already performed in the same room. Then from a strictly structured movement of a group of people, a companying electronic sound and an adjustable blackout. Now with the same movement based on the sound of a plane evolving from silence into space-filling, to vanish into silence again. In recent years Horvers' work started to focus strongly on spoken word, as an expression of energy. His textual description of the sound of an airplane forms the basic construction of the movement, as being vocalized by the performers. For the realization of the performance Horvers worked together with Oda Buijs, teacher at the Fontys Hogeschool voor de Kunsten. A group of people forms a line until bridging the whole space before decreasing again on the other side. During this ‘crossing’ they create one sound that describes the movement of the airplane pulling over. During the event you have the opportunity to attend the performance in two different ways. This can be done from a confined point in space and by making the crossing yourself participating in the performance. This activity anticipates a performance festival that PARK and Theater De Nieuwe Vorst organize at the beginning of October this year. More information about this later.